This week we will be getting 3 inserts: Two SmartSources and a RedPlum! Make sure you take a look at the preview to determine how many papers you want to purchase. Check out all the new Hasbro toy coupons that popped up today! I would recommend printing them for Christmas sales and also for the after Christmas clearance as these don’t expire until 1/4. Make sure you check out this new coupon for $0.35 off Pepperidge Farm Goldfish! We rarely see Goldfish coupon so I would print this if you’re interested. It won’t last long! If your grocery store doubles coupons, you should be able to score cheap Goldfish with a sale! 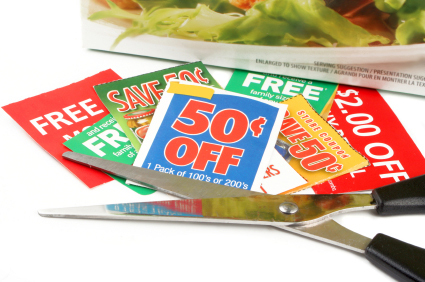 Take a moment and check out all the great new coupons available to print! There are some really good ones, so don’t delay in printing! Amazon Local: Starbucks – Free Kids’ Hot Chocolate with Purchase of Any Espresso Beverage! Amazon Local has a coupon for a free eight-ounce kids’ Starbucks hot chocolate with your purchase of any espresso drink. The Starbucks coupon will expire if not used by 11:59pm on November 27, 2013. Coupon is valid for 1 eight-ounce hot chocolate with purchase of any espresso beverage, and may be redeemed by presenting a physical printout of the coupon or displaying the coupon from a mobile device at participating store. Limit one coupon per customer. This coupon cannot be combined with other offers or discounts. You do need an Amazon.com account with valid credit card to get this coupon. https://i1.wp.com/savvywifehappylife.com/wp-content/uploads/2013/11/d0715c8e7c009ab734b5619b14c1274d46f96a9c8292130e57bcf5c175dbbbdc._UY363_CR00484363_..jpeg?fit=484%2C363&ssl=1 363 484 Brandi https://savvywifehappylife.com/wp-content/uploads/2016/09/SavvyWifeHappyLife-logo-2.png Brandi2013-11-21 12:03:342013-11-21 12:03:34Amazon Local: Starbucks - Free Kids’ Hot Chocolate with Purchase of Any Espresso Beverage! Take a look at the new coupons from this week! The newest ones are on the top and each link should be a direct link to the coupon. I can’t wait to get home and print out my favorites! Make sure you print as soon as possible because these won’t last long.